Time to upgrade that old rifle in the garage? So you’re set to upgrade your AK. You’re interested in swapping out a handguard, getting an optics mount for a red dot or, possibly adding one of those cool folding stocks. But where to begin? There’s so much third party stuff out there, it’s hard to know what’s really good. Who better than St. Petersburg, FL- based Chase Sisgold, co-founder of Definitive Arms to offer advice in this department. Chase knows a thing or two about the AK platform. He builds custom AKs and has experienced phenomenal success over the past few years with his (patent pending) Definitive Arms Kalashnikov System. His update allows your stock 223 / 5.56 AK variant to accept commonly found AR magazines and, has a Last Round Bolt Hold Open (LRBHO). Chase’s conversion system has received kudos in the popular Military Arms Channel, the AK Operators Union and some of the top names in the industry such as Marc Krebs. This is the second time we’ve interviewed Chase, who over Christmas provided us with a some suggestions what to look for when buying an AK. This time around Chase has no shortage of commentary on what parts you need to customize your AK. Q: Let’s start with handguards. There are a ton available from companies such as Midwest Industries, Mako, Troy, etc. Let’s say I want to change out a stock polymer handguard because I’d like to add a light, a scope or a grip and I want something with at the very least, a rail on the bottom. What components do you recommend? 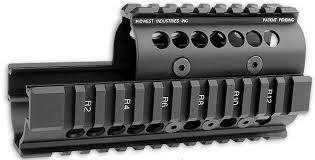 Midwest Industries makes a quality, mid-range handguard. The RD M4 adapters sits higher on the buffer tube than other offerings on the market and provides an excellent cheek weld. 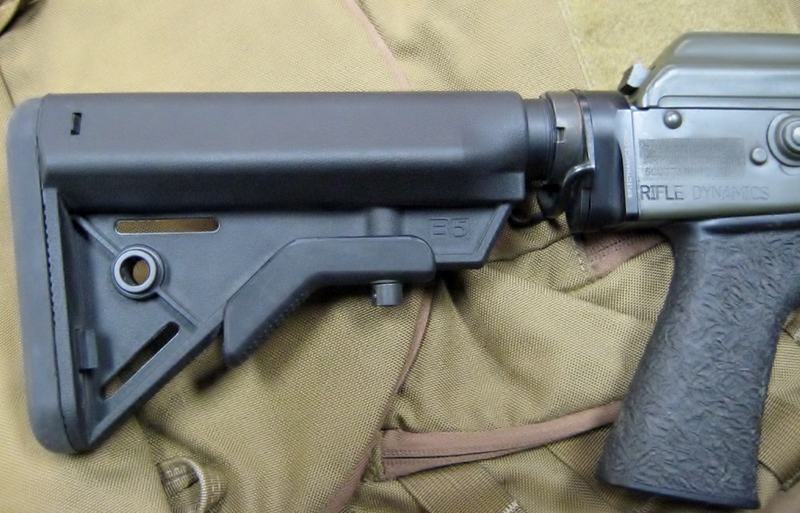 Q: How about a folding stock that has an adjustable cheek weld? Something that feels comfortable. A: It’s personal preference for having adjustable cheek welds. I consider them more for catering to optics that are mounted entirely too high above the bore on AKs (a trend that is becoming popular in the AK world right now) and don’t personally find the need for it. If building a more DMR based weapon then I would still utilize the RD M4 stock adapters and a quality AR style stock with adjustable cheek weld. For your standard carbine size or “fighting rifle” sized AK, I don’t consider adjustable cheek welds necessary. A: A well-tuned & polished Tapco G2 single hook FCG is a respectable trigger group. Otherwise a Power Custom adjustable trigger, properly installed and adjusted makes for an excellent trigger that rivals many high end AR triggers. Q: How about a QD rail mount for a red dot? The AK-300 series of mounts offered by RS regulate are second to none and absolutely rock solid. A: Though most will disagree with me, I find single point slings to be most comfortable for my AKs. A single point sling attached right near the back of the receiver, around stock tang, provides for an easy way to retain the rifle hands free and maneuver it freely without much getting in the way. Some may consider a more “tactical” 2-point sling if building a DMR based rifle or a “Guerrilla Sniper Rifle” as some people like to use their slings for stability while aiming a DMR and shooting under the role of a rifleman as compared to an operator who is on their feet. Q: What about a rail system for the other end of the rifle? I note that Krebs and Texas Weapon Systems have some interesting gear that provides both a rail mount for a red dot and a peep sight. A: In my opinion the Krebs rail is a lot more solid the rail offered by TWS. The Krebs rail also demands a higher price tag, but that goes with the old notion of “You get what you pay for”. Q: That brings us to a query about iron sights. I note that Krebs and Texas Weapon Systems have peep sights. Any improvements from them or another company that you can recommend over the stock rear AK sight? A: I find the TWS Peep sight almost useless and more novelty then anything… I have yet to be impressed by it. I am a fan of the A2 style rear sights and considering that Krebs makes good usage of that sight in his offerings, I will say I am a bigger fan of Krebs sights. E93 (Echo Nine Three) have designed a stock set that has modern function & feel to it, but is made of premium laminated wood. A: I love a classic Iron on Wood firearm, it just has a certain feel to it. 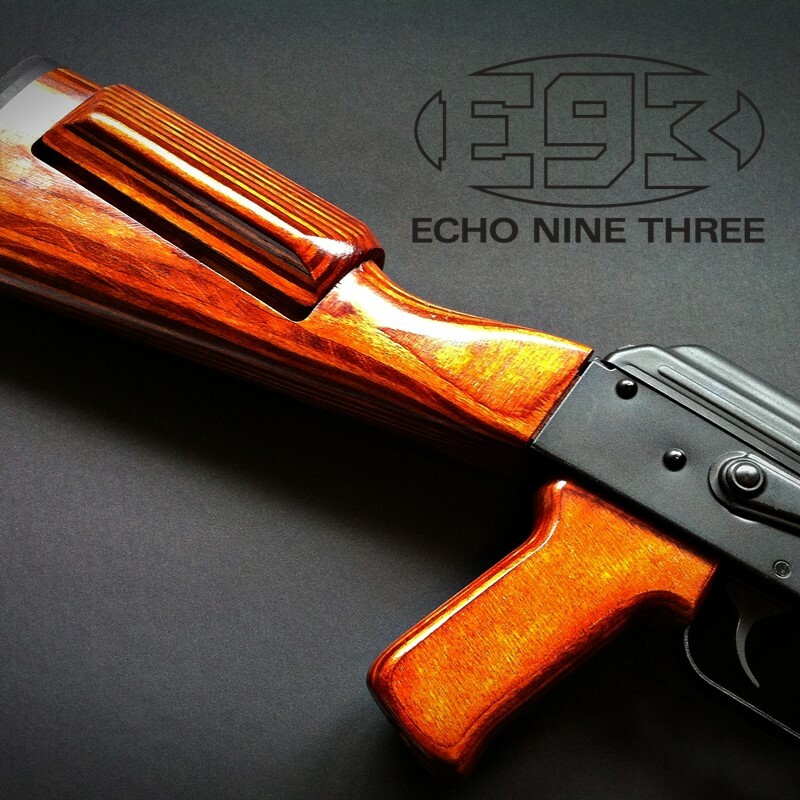 My good friends over at E93 (Echo Nine Three) have designed a stock set that has modern function & feel to it, but is made of premium laminated wood. It’s a very attractive yet very functional stock set. I just recently purchased one and will be building a demo rifle set up with that stock. 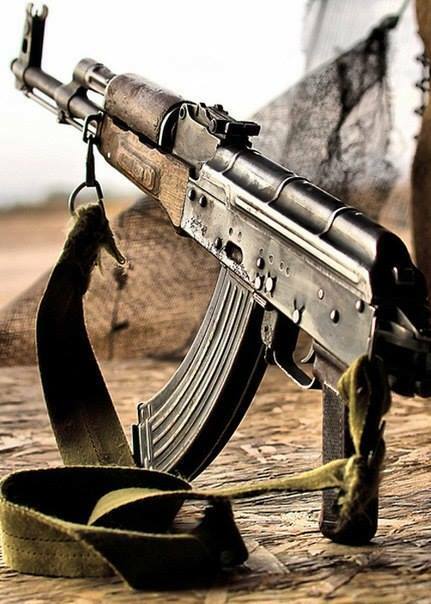 The premise of the demo rifle is to show a modernized fighting AK that has a classic look to it at a glance. Q: I know you have recommended Russian guns above all else. I note that there are a lot of less inexpensive gear from Serbia, Romania, Poland, Bulgaria, etc. Is there anything else of decent quality out there that you recommend for an entry level rifle? A: None of the current cheap offerings out there impress me. 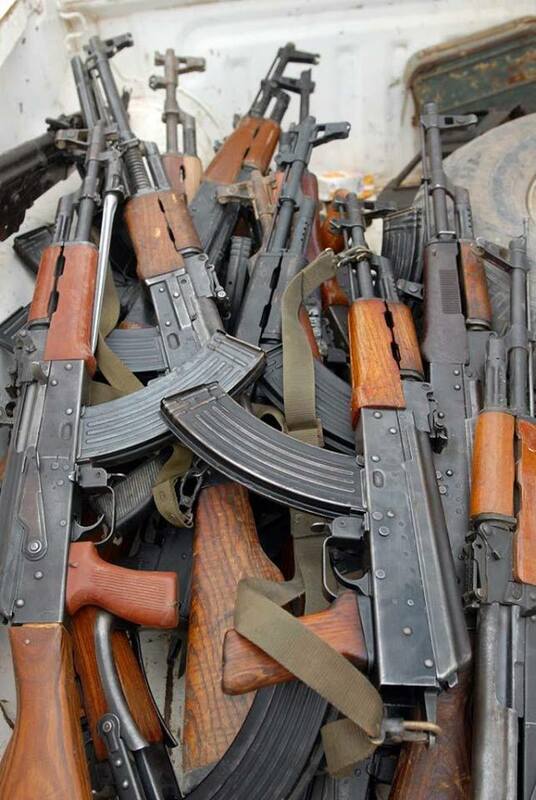 You are rolling the dice when buying the $400-$600 AKs currently on the market… I find the PAP series to be extremely poor quality despite internet lore of being solid rifles built on the thicker RPK style bulged front trunnion seen on Yugo AKs. We have repaired many in house so far… I can count on 1 hand how many factory Saiga or VEPR rifles I have repaired. Romanian parts are actually decent parts, the issue is that when they are reassembled into complete rifles here in the US the work is generally very poor. Combine that with poor quality US made barrels and receivers & you have a range toy at best, not a rock solid fighting rifle. The Polish firearms suffer the same fate of the Romanian based guns, quite the gamble when buying one. In my opinion the current production Polish Radom firearms are extremely over priced for what you get. Same thing with the Bulgarian guns, hit or miss but greatly over priced for what you get. You are rolling the dice when buying the $400-$600 AKs currently on the market says Chase. People don’t expect a $500 AR 15 to be a rock solid rifle, so I don’t understand why anyone thinks a $500 AK should be a rock solid system either. The American market has really cheapened the AK. The poor craftsmanship and parts utilized in building a lot of the AKs here have really tarnished the image of the rifle here in the US. Less having a competent smith build you a premium gun, or buying from a more reputable manufacturer you are really taking a gamble when buying the el cheapo AKs on the market. I own some that have been fine, and I have also purchased some that shot themselves apart within a single case of ammo. Buyer beware. 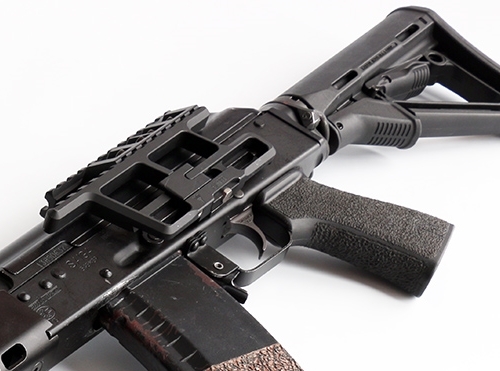 A premium AR15 runs between $1,500 – $3,000. If you want a premium AK, be prepared to spend big money on it as well. You can’t put a price on a tool that may determine life or death for you one day. Q: Anything else we missed that you’d care to comment on? A: A lot of what I say in here will probably piss off guys who think they know it all. To those on the fence and unsure of where to spend their hard earned money… I highly suggest you do some real research not just follow in line with the “popular choices” out there. Guys like myself handle a lot of firearms every year. We have nothing to benefit from you buying a Saiga over a PAP M85… we’re just offering our experience having handled many of them. There are guys who have been doing this stuff far longer than myself. Jim Fuller of Rifle Dynamics and Marc Krebs of Krebs custom come to mind… Those Gentlemen know a thing or two about AKs and there is a lot to be learned from them. There are some universal truths that become very evident when working on enough of AKs. Educate yourself about what you’re doing & what you’re investing in. Your life could depend on it someday. Chase is the founder of Definitive Arms–and one of the most innovative gunsmiths in the AK space. Photos courtesy of Midwest Industries, Rifle Dynamics, AK Operators Union 47-74 and E93 (Echo Nine Three). This is a good friend and colleague of mine. Probably the smartest guy I know and The way he thinks is almost John Browningish as far as his ability to make, in my own and many other peoples opinions one of the best weapons devised. If you care about guns in the slightest and think you know it all…. you don't. check out this interview and then go to Definitive Arms and see what a true genius this guy is. Then after you finish drooling go sell all you stuff and buy one.